These days, many Oakland County residents are seeing the importance of having a water well drilled. It can be used for a variety of applications such as drinking, washing and more that you use on a daily basis. It may not be as simple as connecting to the municipal water supply, but the benefits you can enjoy outweigh such a minor inconvenience. The key here is finding the right location and finding the right people to help you dig up your water well in Oakland County. The process starts with finding a nearby aquifer that the well can tap into. Next is the actual water drilling. The type of drill that will be used will depend on different factors. One of which will be the terrain of the selected location in Oakland County. A powerful drill with around a thousand pounds of torque will be needed for a terrain that is usually made of granite bedrock. For terrain with a shallow layer of soil, a drill that has a fairly lighter power will be needed. A powerful drill will do the job faster and more efficiently while a lighter drill will need more maintenance than the usual. When is Water Drilling Needed in Oakland County? Water is an essential component that people need for daily activities. Water wells are commonly created in remote areas where it can be difficult to access the public water supply. They make it more convenient for people living in the area. Instead of waiting for someone else, rural homeowners can have easy access and control of their own water supply. A personal water supply can also be used for commercial purposes such as irrigation for farmland in Oakland County. As you think of the future, consider a water well as a good investment. It can be tempting to just rent out equipment and do the work yourself. However, this type of project needs assistance; it is rarely a job that a regular person can accomplish. That’s why you must hire experts in water well drilling. They can create the best plan for your unique water well. 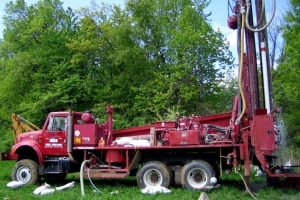 One way to find a reputable water well drilling company that services Oakland County is to look online. Thanks to technology, looking for companies that you can count on is easier than ever. You can check out those that have the highest recommendations or good feedback from previous clients. When you find a water well drilling company that has good reviews, get in touch with them directly. That way, you can talk about their services in more detail. Ask about their process, how long the job will take, the estimated cost of the project, etc. Are you ready to have a water well drilled that you control? If so, check out Ries Well Drilling. As a water well driller that services Oakland County, they know what local residents need. And with over 30 years of experience in the industry, you can be sure that your water well will be installed with as little hassle as possible. Give them a call today at 586-784-9516. 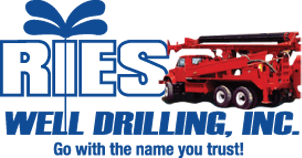 Get in touch with Ries Well Drilling today. Call today to get FREE estimates for your well drilling needs. Always expect affordable prices that fit your budget. Thank you very much for saving our well and replacing our pump! Really appreciate all you were able to accomplish so quickly. Thanks for coming to our rescue!! Thanks for sending Joe over so quickly and Great Job! We really appreciate it! Thanks so much for your services and extra help (permits, etc.) Really appreciate it.